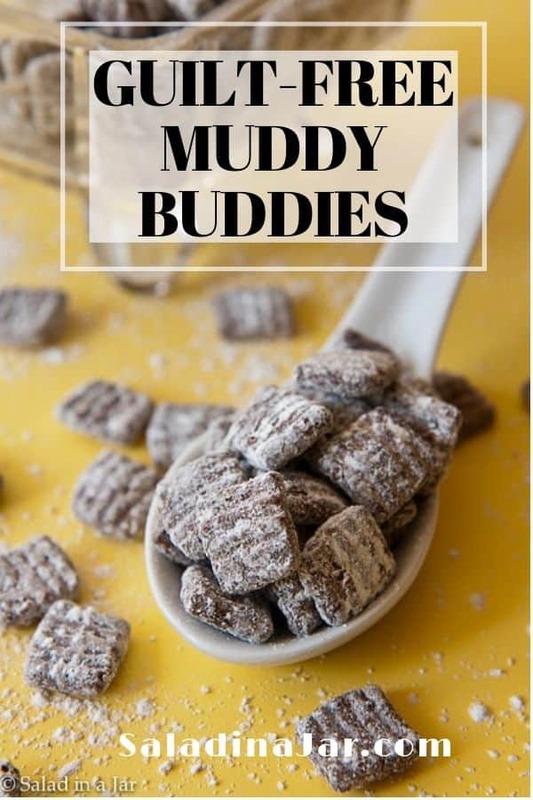 Get your muddy buddy fix with these Guilt-Free Muddy Buddies. They contain fewer calories, less sugar and more fiber than most similar recipes. Bonus: Only three ingredients! Do you ever crave a quick and easy sweet treat that won’t leave you feeling guilty and defeated? Duh?! I’m excited to share the newest addition to my collection of “Skinny Secret” snacks which already includes Apples in a Bag, Homemade Greek Yogurt, and Cannoli Cones, among others. Guilt-Free Muddy Buddies only take a minute or two to put together and add extra fiber to your diet in a deliciously crunchy way. The secret ingredient is Fiber One’s new chocolate squares cereal. Add a small amount of peanut butter, microwave just long enough to soften, and shake it up in a little bag with minimal powdered sugar. Update: The Fiber One cereal mentioned above does not seem to be available. You might try the Chex Chocolate Glutin-Free cereal instead. Variations on this recipe are many. For instance, substitute individual packets of chocolate peanut butter for regular peanut butter for a more pronounced chocolate flavor. Incidentally, the handy packets solve my problem with a jar of Nutella which always seems to go rancid before I can finish it. In addition, I happen to think the little cups taste better. 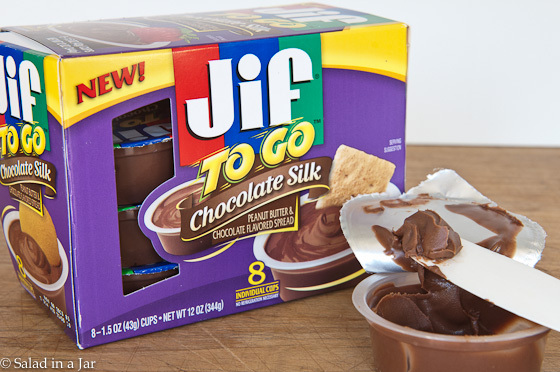 However, be advised the calories will be a little higher if you substitute chocolate silk for peanut butter. I like Muddy Buddies best when cold, so I keep them in the freezer in pre-measured portions. But actually, none of the ingredients require refrigeration, so it’s a great snack to carry camping, traveling, or in a lunch box. 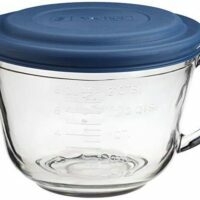 Compare the statistics for a serving size of 1/3 cup: (I know, who eats just 1/3 cup?!) That’s what Yummy Chow calls a serving. But even the stats for a double serving of Guilt-Free Muddy Buddies isn’t bad at all. Place cereal into a small bowl. Drop peanut butter over the top. 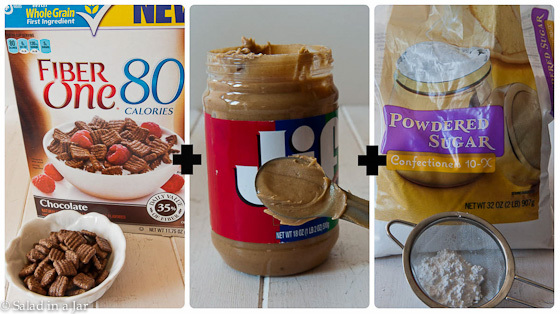 Microwave for 30 seconds to soften peanut butter and warm cereal. Stir a bit to distribute peanut butter but don't fuss with it too much. Place powdered sugar into a bag. Pour warm cereal into bag and shake to coat cereal with powdered sugar. These looked really good – except I h a t e peanut butter! So I finally tried almond butter. Ooooooh, r e a l l y good!!! Living in Canada, I had to improvise a bit as I couldn’t find the chocolate Fiber 1 cereal, so I used Kashi cinnamon harvest squares, the PB and a sprouted seed chocolate spread. So good! This is perfect for me , I will be trying this recipe soon, thanks Paula! Any snack that is *guilt free* is for me! These look like a delicious way to satisfy the need to snack between meals. I LOVE this idea Paula. I’m putting Fiber One on my grocery list! Thanks! Just made it with my toddler, and it was very simple and tastes pretty good. I think next time we will try the chocolate peanut butter for more chocolate flavor, but just as it is it’s still pretty good! These look so good! I’m definitely going to try them! Great idea…on my list to try this month! Wow, didn’t know it was that easy to make muddy buddies. This would be so much better to have than regular Muddy Buddies because you can have twice as much and still not break the calorie or sugar count! Awesome! Thanks! Oh my…. I see a future addiction! Yum! I’ve got to try that Fiber One cereal now. 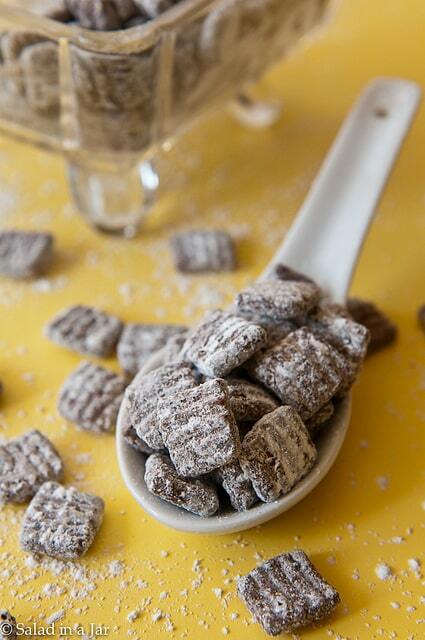 And the guilt-free Muddy Buddies.